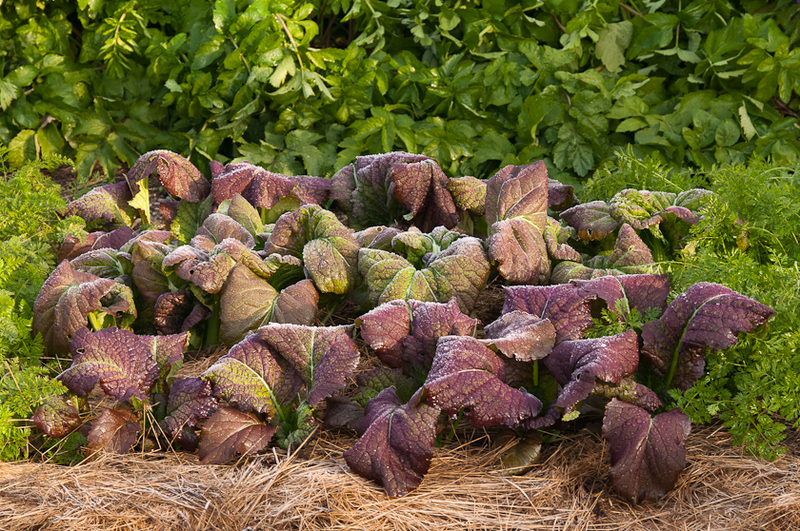 “Sweeter after a frost” say seed catalog descriptions of many winter vegetables, and it’s true. 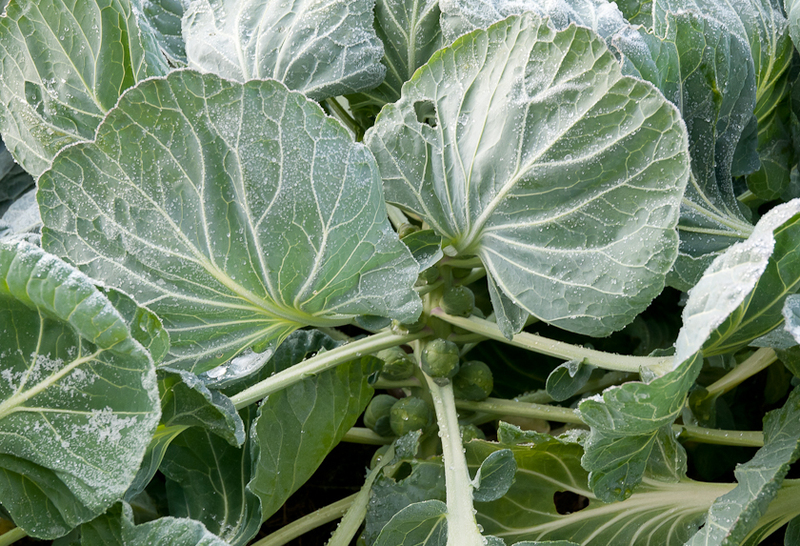 Brussels sprouts, kale, cabbage, parsnips, carrots, celery root, beets, turnips, rutabagas, even winter leeks all taste sweeter after a frost or two. 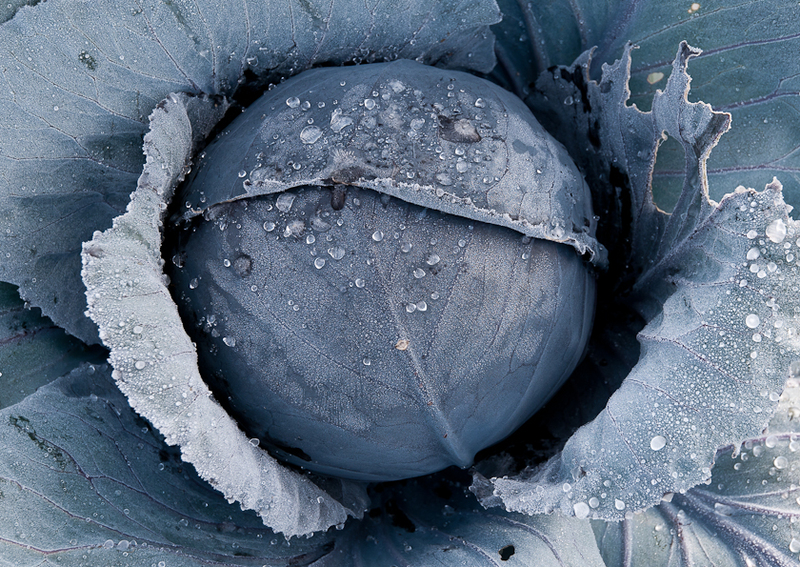 This characteristic of these hardy vegetables is one of the many treats of a winter kitchen garden. In root vegetables like parsnips, celery root and carrots the increased sweetness happens because the plants respond to cold by converting their starches to sugars. 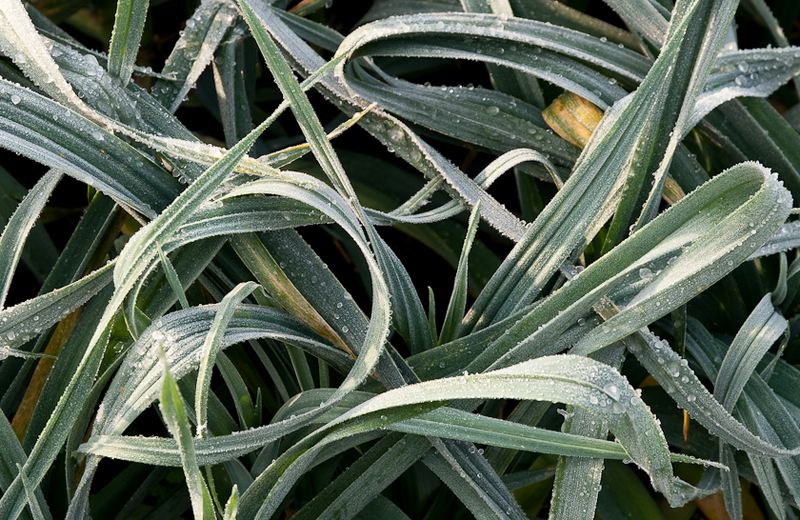 Winter leeks go dormant during cold spells, resuming growth and becoming sweeter when temperatures rise. We woke to our first serious frost this year on October 28th. Scott’s photos from that morning show plants that look like they’ve been dusted with sugar, a pretty clue to the sweet tastes inside. When temperatures in the low twenties or teens are forecast, I pile extra hay mulch over root crops and cover them and the cabbage family crops with used lumber wrap. This additional protection keeps the plants from freezing solid and is easy to remove once the severe cold is past. The winter kitchen garden needs to be planted in mid-summer, so there’s work there, but once fall and winter come, there’s no work except this extra cover-up when the weather turns really cold. There’s just the pleasure of walking through this winter larder and harvesting the sweet treats. In future posts, I’ll write more about each of the vegetables and how I use them in the kitchen. This entry was posted in Fall/Winter Vegetables and tagged Winter kitchen garden, winter vegetables by Lopez Island Kitchen Gardens. Bookmark the permalink. What a beautiful post…and an inspiration to plant next year. As a beginning gardener, I would welcome a post on preparing a lopez garden for winter. Compost? Manure? Cover crop? The soil needs improving (very sandy). 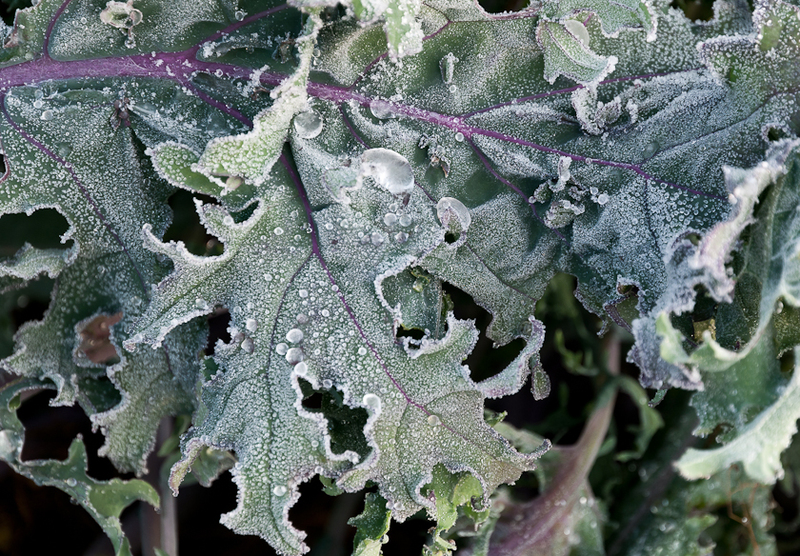 Is winter an opportunity to improve a garden’s health? Thanks! We had a huge garden as growing up. My father used to say the pepper squash always tastes better when picked after the first frost. Now when I buy pepper squash and it was picked before a frost …. it tastes bland to me.